Haven’t posted any craftiness in a while, and as usual it’s not for lack of it! Here are some of the things I’ve made for/with my kids in the last few months. 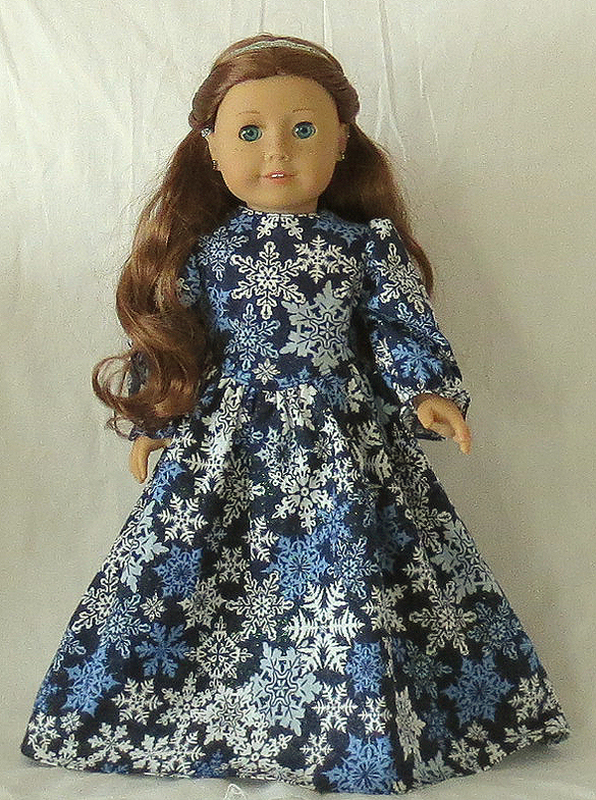 This was my quick an cheap answer to that limited AG dress and all said it cost me under $6 to make a sorta copy of a $70 doll dress. I actually went to JoAnn and purchased all of the fabric, ribbon and decorative buttons in one shot so I would know how much I saved. The most expensive thing I bought was the plain white satin shoes at $1.30 on sale and with coupons! I think it came out pretty good, but what matters most is that my redhead thought it was BETTER than the one on the magazine! 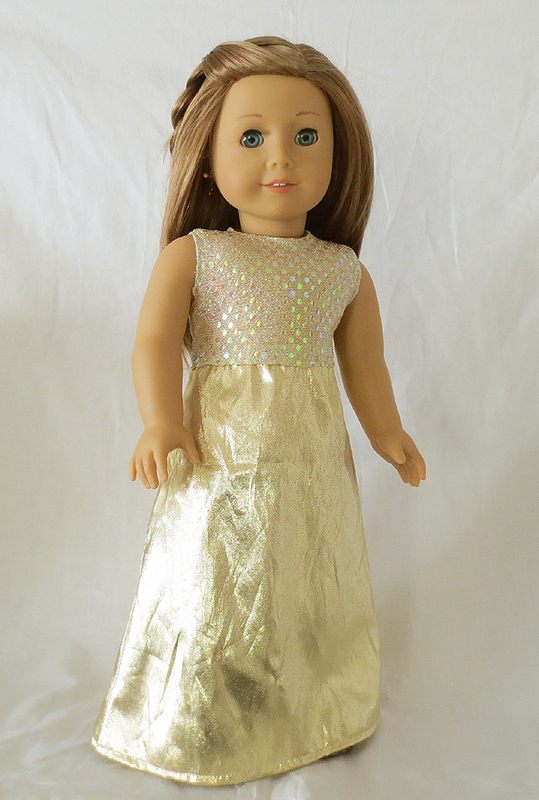 The dress below is from an old Butterick pattern, B5864, meant for very different dolls. I initially thought it would be perfect for the Princess & Me dolls but it ended up being a tiny bit big for AG’s.. learned something that day! I spotted something similar to this on Pinterest and thought, as I usually do, “hey, I can make that”. Had everything we needed and got to work. 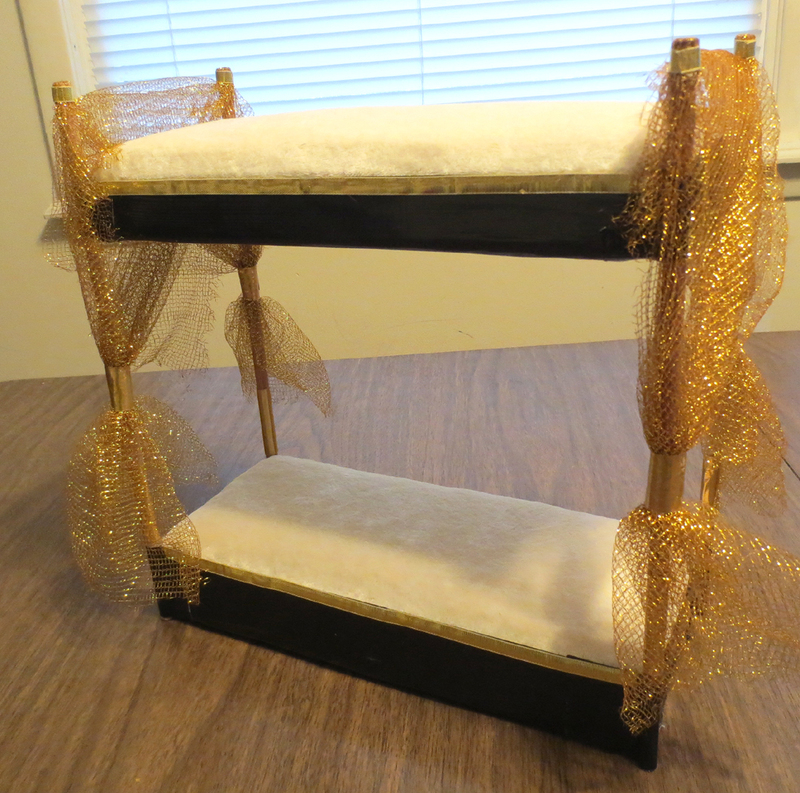 This is made similar to my Ultimate Monster High Bed, with the exception that the beds are not as high and of course that they are hot glued to 4 posts. The biggest difference is that there is actual foam under that cozy velour there and not dryer lint or misappropriated pillow fluff. Inside the packaging for something completely unrelated there was this awesome and large sheet of 1/2 inch foam. Score! I tried it out as a mattress and it proved quite squishy and realistic! My girls decorated with all the gold ribbon, tape and mesh. The dolls love it, of course. And yes, if you are wondering, that is Jem’s vanity there a little revamped in the picture below. I was a bit of a Jem fan 🙂 Truly Outragous! In the same room of the dollhouse as the bunkbed pictures were taken, now resides a nursery. Who had all these babies? 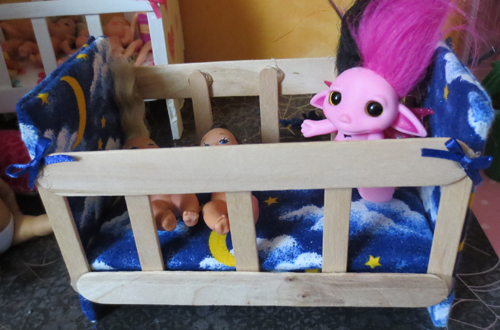 I do not know, but we certainly could not let them go without cribs! These were made completely with foamboard, popsicle sticks a tiny bit of misappropriated pillow stuffings and fabric scraps.